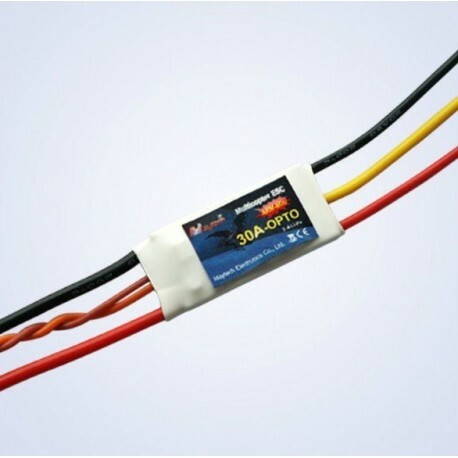 ESC 30A OPTO 2-4S MayTech Firmware - Actuna Sp. z o.o. High quality speed regulators a reputable company Maytech. MayTech ESC 30A OPTO ARM-mini is equipped with its own integrated software MayTech. Has been so refined that in some situations, be better than BLheli or SimonK. Maytech ARM ESCs make multi-coptes flight more stable. IC directly drives the MOSFET, which makes the MOS reacts faster to MCU control. 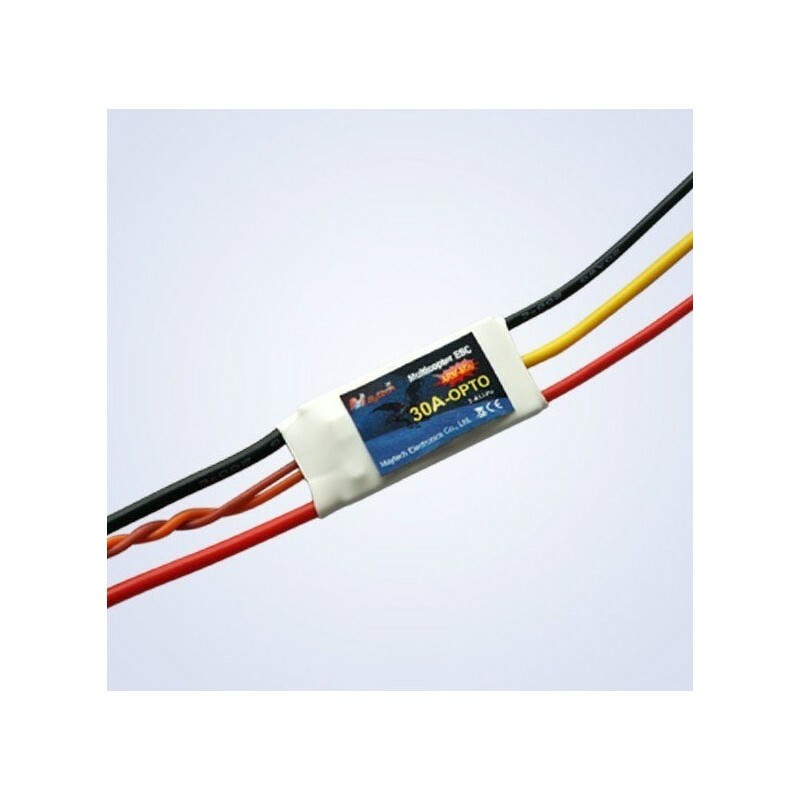 ESCs can be put in arm tube, without heat problem. You can enjoy a tidy and clean flight. With 32-bit ARM processor. Small size, light weight, rapid running speed. Support and automaticly detect the ordinary remote control signal and One-Shot125 control,signal. Available throttle setting can compatible with different remote control. Automatic start up power mode, with great acceleration performance. Special designed for multi drones. Ordinary control signal throttle range 900us~2400us, One-shot125 signal throttle range 100us~300us.